The water around a Utah uranium mill is growing more polluted. What does it mean for the nearby town? Dom Smith | EcoFlight This aerial photo shot in April shows the White Mesa Uranium Mills evaporation ponds, which environmentalists and Ute Mountain Ute tribal officials fear are emitting radon gas far in excess of federal standards. The 55-acre pond on the left is Cell 1, the one with the highest concentrations of radium waste. The mill is 6 miles south of Blanding on U.S. Highway 191. The following was researched and written by Emma Penrod for The Utah Investigative Journalism Project in partnership with The Salt Lake Tribune. There once was a time when the children of White Mesa played outdoors without their parents fearing for their health. But for as long as Yolanda Badback can remember, the remote town in southeastern Utah has worried about the smell emanating from the plant to the north and the trucks that signal the plant’s awakening after periods of dormancy. 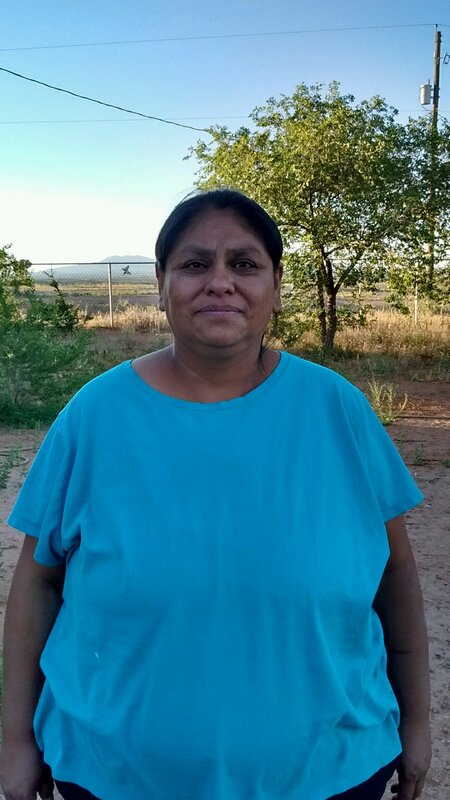 Badback is more familiar with the White Mesa uranium mill than many within her community. As a child, she tagged along with her uncle and longtime critic of the mill, Norman Begay, as he went to meetings in his quest to understand what the mill was doing and whether it was safe to live just over 5 miles downwind of such an operation. She later picked up where her uncle left off, searching for answers among confusing, and sometimes conflicting, information state, tribal and company officials have to offer. The mill’s current owners, Colorado-based Energy Fuels Resources, tout the plant as one of the last capable of milling ore into purified uranium. As such, they say, the mill is a critical national asset — an argument they’ve leveraged to garner political support for the shrinking of Bears Ears National Monument and for tariffs on imported uranium. But the Ute Mountain Ute Tribe — White Mesa is a part of the reservation — watches the polluted groundwater beneath the mill with growing concern, though state officials insist the pollution comes from other sources. The contaminated water appears to be moving toward the town, said Scott Clow, environmental programs director for the tribe, and concentrations of potentially harmful substances such as heavy metals are on the rise. The acidity of the groundwater has increased. And state regulators, Clow said, don’t appear to share the tribe’s interest in addressing the pollution. At this point, Clow said, “I think it would be the tribe’s preference that the facility shut down. But that’s a big ask there.” So instead, the tribe has focused on persuading the mill’s owners to phase out some of its older waste facilities, which they believe are more prone to leaking. There’s one problem: Records from a yearslong court battle indicate that the newer waste-holding facilities, which are not in use currently, may have been built improperly. As of now, the town’s drinking water remains clean, but Clow worries unchecked pollution will jeopardize the tribe’s relationship to its ancestral home. In fall 2009, second-generation mine excavator Mark Kerr scored a gig at the White Mesa mill. 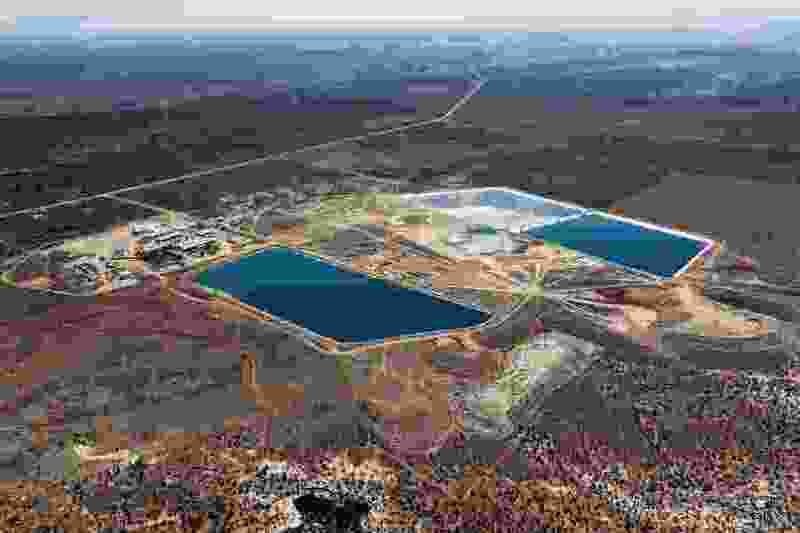 The job involved the construction of a 40-acre tailings cell, a sort of retention pond Kerr described as a “giant bathtub in the ground” in which the mill would store its waste product. At nearly $5 million, the contract was a midsize project for Kerr’s company, KGL Associates. But the company was in financial trouble and struggling to make payroll. They wanted the job badly enough, transcripts from a later lawsuit suggest, that Kerr likely shaved his bid to razor-thin margins to undercut competitors’ prices. At first, the job seemed to go as planned. The mill’s engineering contractor, Geosyntec Consultants, had laid out what seemed to be a pretty straightforward process: Kerr’s company was to remove the topsoil for later applications, blast a 40-foot-deep hole in the ground, and then clear away the majority of the debris, leaving at least 3 feet of dirt to line and smooth the bottom of the cell. About six months in, Kerr received notice from Geosyntec that all the loose debris from the blasting needed to be removed “at no cost to the [mill’s] owner,” according to a May 5 memo. Kerr continued to argue with the mill’s owners and consultants about compensation. The engineers, as Kerr and staff he had on site recall, repeatedly insisted that all loose rock must be removed. If not, Kerr said they told him, the gaps between the rocks could collapse under the weight of the cell when it was filled with water and eventually waste. Two weeks later, Kerr received a second memo from Geosyntec. He could leave the loose rock in place, but, “to provide a firm and unyielding surface,” the memo states, Kerr’s employees must compact the rock by wetting it down and driving over it repeatedly with heavy machinery. Kerr proceeded as directed, but his previous arguments with the engineers weighed on him. A cave-in beneath the cell could puncture the liner that, like a kitchen trash bag, prevents waste from leaking. But unlike a plastic trash bin, the excavated “bathtub” Kerr built would allow liquid waste to escape, potentially polluting the groundwater beneath the mill site. How could he be sure this rock compaction would prevent the mill’s “trash” from poking a hole in the liner? He began peppering Geosyntec staff with questions via email and through the company’s standard request for information forms. Where is the documentation proving this methodology is safe and effective? Does this meet the requirements of the mill’s operating permits? Do state regulators know about these changes? Instead of answers, Kerr received a letter from Geosyntec’s attorneys objecting to his use of the request for information process and asking him to “revise or rescind” his questions. “It is not our experience to be cross-examined on the grounds of an engineering determination by means of an [sic] request for information,” the letter states. Kerr’s company walked off the job a few months after the dispute began, leaving at least 4 acres of the cell covered in loose rock. By August 2010, he said, KGL Associates was broke. The mill’s current owners, Energy Fuels Resources, consider Kerr’s claims “completely unfounded” but did not answer specific questions. “KGL is a disgruntled former contractor who walked off the job, owes us a lot of money, and simply appears to be harassing us,” the company’s spokesman, Curtis Moore, said in an email. Kerr, Curtis said, is expressing “sour grapes” after losing a $4 million lawsuit. That series of court actions began when subcontractors sued the mill for nonpayment, causing the mill to sue Kerr’s KGL. According to the mill’s complaint, Kerr’s company not only walked away from the project without paying its subcontractors, but also failed to comply with requested changes to the cell, which resulted in construction defects. A court arbitrator ultimately concluded that Kerr owed the mill nearly $4 million in damages, plus attorney fees. And the arbitrator found that the mill’s decision to withhold payment from Kerr was justified, given his company’s poor performance, which forced Energy Fuels to hire a second contractor to complete and correct KGL’s work, including, Curtis said, the 4 acres Kerr claims remain unfinished. However, the court laid the blame for any environmental contamination related to the cell’s poor construction at the feet of both parties. “The contamination issue is one of shared fault,” the arbitrator concluded. Kerr repeatedly appealed until he ran out of money. The judgment against him stands, though his concerns about the excavation remain. As his case wound through the courts, Kerr began contacting the state Division of Radiation Control. Division engineers, he hoped, would have documentation to prove that the mill had made significant changes to his original job specs. But, in a late 2011 letter, the division told him only that the mill’s engineers had not notified the state of changes in their excavation plan — probably because the changes weren’t considered significant. Next, Kerr approached the federal Nuclear Regulatory Commission, which conducted a brief investigation and determined his fears were partially substantiated: State regulators needed more stringent requirements when there were changes in construction specifications. The NRC reassured Kerr, however, that Utah had promised to tighten its reporting requirements. The NRC concluded that the change did not appear to pose a safety concern. According to the agency, state regulators assured federal overseers that their review of the cell’s quality had taken the new excavation methods into account. To Kerr, this assertion flew in the face of the state’s written letter to him that the changes were not reported to the Division of Radiation Control. A review of the state’s records shows a quality assurance report produced by Geosyntec that describes several changes to the cell’s design, but the change in excavation specifications is not mentioned. And current division leadership continues to hold the position originally stated to Kerr. Any changes were probably deemed by the on-site engineers — including a state engineer — to be insignificant. 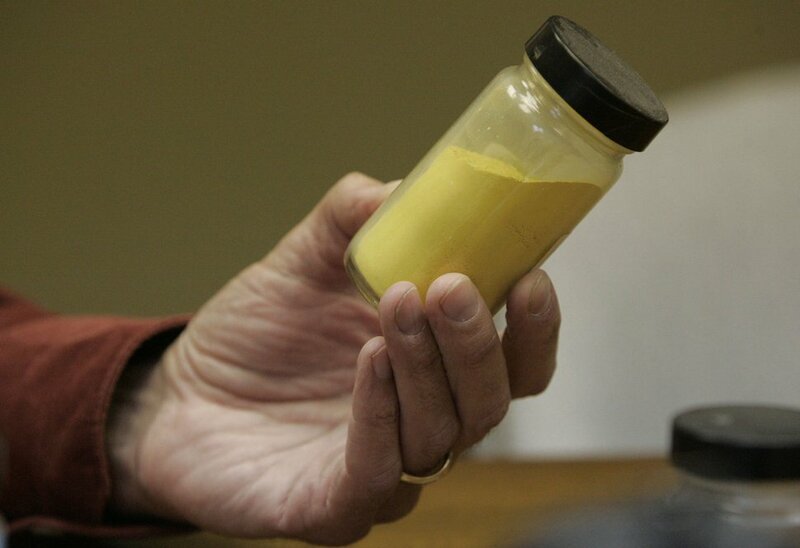 “We haven’t seen any issues with the tailings cell since,” said Phil Goble, who oversees the radioactive materials section within the now-combined Utah Division of Waste Management and Radiation Control. That’s not necessarily the way environmental officials with the Ute Mountain Ute tribe see it. They point to state-collected data that show “a fair amount” of fluid escapes the new cells’ liners and enters a leakage containment system. The fluid has been pumped out and hasn’t entered the environment, but the leaks leave tribal authorities wary. The White Mesa mill sits atop several plumes of groundwater contaminated with heavy metals, including uranium and other concerning pollutants. The pollution predates the construction of the new tailings cells — including the cell Kerr excavated, which is not currently in use. But the contamination is spreading toward the White Mesa community, Clow said, and concentrations of some pollutants are increasing. The state holds that the contaminants aren’t coming from the mill — or, at least, that there isn’t proof the tailings cells have leaked. The groundwater contains chloroform, which, if consumed, can cause damage to the brain, liver and kidneys, from a metals-testing operation that once operated on the mill site. Employees there used to put the chloroform down the drain, where it entered an unlined septic system that ultimately leaked into the groundwater, Goble said. A separate plume of nitrates, a class of acidic salts that in certain circumstances may cause cancer, beneath the mill does appear to be a result of what Goble described as “poor housekeeping within the mill.” But it didn’t come from the tailings cells, he said. And the overall increase of acidity in the water below White Mesa — that’s not coming from the waste cells, either, Goble said, because it occurs in groundwater both uphill and downhill from the cells. But Clow remains concerned about the rising concentrations of heavy metals, especially those that don’t occur naturally in the White Mesa area. One of the issues in trying to tie the pollution to the mill, Clow said, is that neither the state nor the tribe — which maintains its own test wells to monitor groundwater independently — has the historic data necessary to make the case that the metals do not occur naturally in the groundwater. To their credit, Clow said, state scientists have conducted detailed studies and data reviews to try to determine what the area’s background levels may be. Baselines based on these analyses have been established. But when the amount of pollution exceeds the baselines, Clow said, the state has simply invalidated its own baselines and establishes new ones, rather than attempt to regulate the mill. Asked whether state regulators have revised background levels at White Mesa, Goble explained a legal process by which Energy Fuels could request to have the background information tied to the mill revised. He indicated Energy Fuels has initiated this process, but did not elaborate. A 2013 letter to Energy Fuels shows the Division of Radiation Control agreed to revise several background levels for groundwater at the site, including the benchmark for uranium. According to the letter, the amount of uranium in the groundwater had increased gradually, but the division agreed with the company that the increase was the result of natural causes. The tribe also diverges from Utah officials’ assessment of the health risk posed by the contamination. State officials have repeatedly argued that the contaminated water is not used by the tribe — that the community of White Mesa draws its drinking water from a deeper source that remains clean. While it’s true that the town wells draw from the cleaner, deeper water, Clow said, the tribe worries the drinking water supply could, eventually, become contaminated. And tribal members do use springs fed by the shallow aquifer for traditional ceremonies. Clow holds that the town of White Mesa, which predated the mill, will surely outlast the operation — and therefore that the mill should be more concerned about potential impacts for thousands of years to come. But the town may not be such a permanent fixture. Its 2010 population of 242 has decreased by half since that tally, according to U.S. Census data. Despite being a lifelong resident, Badback said she sees no future there for her three sons. | Courtesy Yolanda Badback, op-ed mug. While environmental issues are part of her rationale, the town’s economic hardships and poor living conditions also factor in. According to 2016 U.S. Census figures, just 49 percent of the town’s adults are employed; Badback herself is without work. Her own living conditions are better than most, she said — she stays in a five-bedroom house with nine immediate and extended family members. At night, three people sleep in an outbuilding with electricity but no running water. When the mill first arrived in White Mesa, company officials touted it as a job creator, Badback said. But the mill has only ever employed a handful of tribal members, she said, and the work is unsteady, with frequent layoffs. Even if there were jobs, Badback said, she would never allow her sons to work at the mill. Her oldest recently moved to New Mexico to find work, and her middle child will soon join him. Though she would have liked to leave the town as a youth, Badback said she stayed because her grandparents did not speak English and needed an interpreter. She became a caretaker for her mother, who had been the family breadwinner, and then she had children of her own. These days she’s absorbed with trying to educate her neighbors about the mill. She holds community workshops and leads annual protests. But not everyone in town supports her, citing the civic facilities such as a community recreation center that the mill has donated and its unfulfilled promises about jobs. Badback doesn’t buy it. Instead, she helps organize surveys to evaluate the health of White Mesa children.